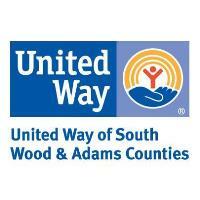 The only criteria that volunteers need to meet is: the volunteer(s) need to reside in south Wood or Adams Counties; OR complete his/her volunteer work in south Wood and/or Adams County; OR does work that impacts residents in south Wood and/or Adams County. Anyone can nominate a volunteer: agencies/organizations who work regularly with volunteers; friends and family of a volunteer; and we even accept self-nominations. Nominations are accepted for individuals; couples (either married or two individuals who work together doing the same task); and volunteer groups. Please – only three nominations per organization. All nominations will be recognized during the breakfast and will receive a certificate and a special gift. The Volunteer Breakfast is an excellent opportunity to find out about all the different volunteers who do valuable work in our communities. It’s also helpful to agencies who wish to recognize their volunteers but cannot hold their own recognition event, due to budget or time constraints. So nominate a volunteer and join us! Materials to nominate a volunteer and/or RSVP can be found at www.uwswac.org. The Volunteer Center is a clearing house for requests for volunteers and volunteer opportunities. An online database of volunteer opportunities is available atwww.volunteerinnerwisc.org. Volunteer opportunities are announced every Wednesday morning on WFHR; and can be viewed on Wisconsin Rapids Community Media. The Volunteer Center works on several initiatives such as Day of Caring, Stuff the School Bus, Homeless Point in Time (PIT) Count, and the Disaster Volunteer Reception Center.